Spa Francorchamps plays host to the current Formula 1 Belgium Grand Prix, the Spa 24 hours endurance race and is also home to the 25 Hours of Spa event. 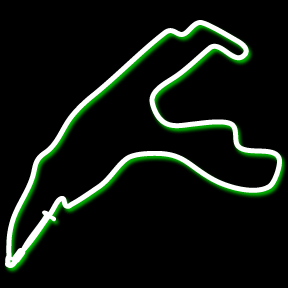 The circuit is considered to be one of the most challenging race tracks in the world, mainly due to its fast, hilly and twisty nature. Spa is a favourite amongst many racing drivers and fans. Over the years since its birth in 1920, the Spa course has been modified several times. The track was originally 15 kilometres long, but after World War II, the track had some changes. The modern layout has a length of 7km and consists of 19 turns. It is still a fast and hilly route through the Ardennes forest where speeds in excess of 330 km/h (205 mph) can be reached. Since inception, the place has been famous for its unpredictable weather. Frequently, drivers are confronted with one part of the course being clear and bright while another stretch is rainy and slippery. The most famous part of the circuit is the Eau Rouge / Raidillon combination. After the “La Source” hairpin, drivers race down a straight to the point where the track crosses the Eau Rouge stream, before being launched steeply uphill into a sweeping left-right-left collection of corners with a blind summit. The following right-hander that leads steeply uphill is called “Raidillon”. The corner requires a large amount of skill from the driver to negotiate well and the long straight ahead often produces good overtaking opportunities for the best drivers at the following “Les Combes” corner. If you think you’re brave enough for Spa, then check out the Tours page to book a trackday! Download the turn-by-turn circuit guide in pdf format.